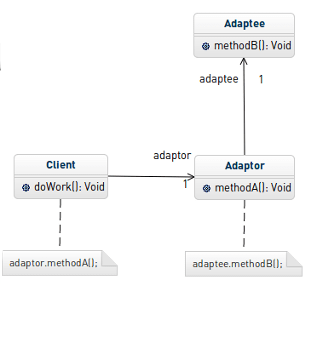 Create class diagrams in seconds with GenMyModel, a free uml online tool to draw UML diagrams. GenMyModel is an UML editor with powerful features for creating UML class diagrams, in the web browser. GenMyModel helps you create class diagrams right away, there's no install, no setup and no learning curve to get started. Classes, operations, attributes, relationships are created within a click from a user-friendly toolbar and shortcuts. You can draw class diagrams online in seconds and the intuitive GUI makes it very easy. At anytime, GenMyModel assists you draw a valid UML class diagram by highlighting the UML elements that match an UML-compliant architecture. 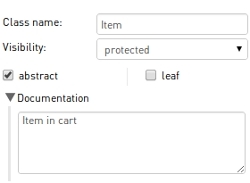 It saves time when creating UML elements such as attribute's type, inheritance, realization (interface) or dependency. The class diagram in the Unified Modeling Language (UML) is a type of static structure diagram that describes the structure of a system. It contains the system's classes, their attributes, operations and the relationships among the classes. The class diagram is the main building block of object oriented modeling. It's the most common starting point for software architects and developers when designing a system. 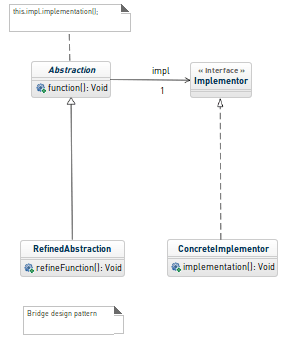 Within GenMyModel, you can create your class diagram online and generate Java code. Everything is handled in your web-browser with an intuitive user interface. 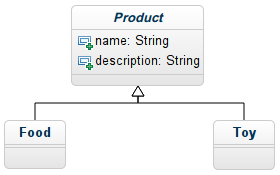 The class diagrams conform the UML standard. You get both a visual representation, called the diagram, and the internal structure of your model in a tree-based representation. It works on Windows, Mac, Linux and the supported browsers are IE, Chrome, Firefox, Safari and Opera. GenMyModel comes with many free examples, clonable within a click. 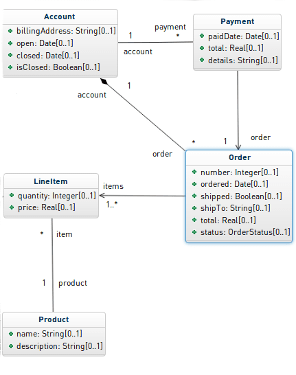 Shown above are some UML diagram templates available to our users. You can access this professionally designed templates from the dashboard area. The examples contain class diagrams but also use case diagrams and activity diagrams. GenMyModel is a modeling platform in the cloud for software architects, developers and business process analysts. Copyright © 2013-2017 GenMyModel. All rights reserved.